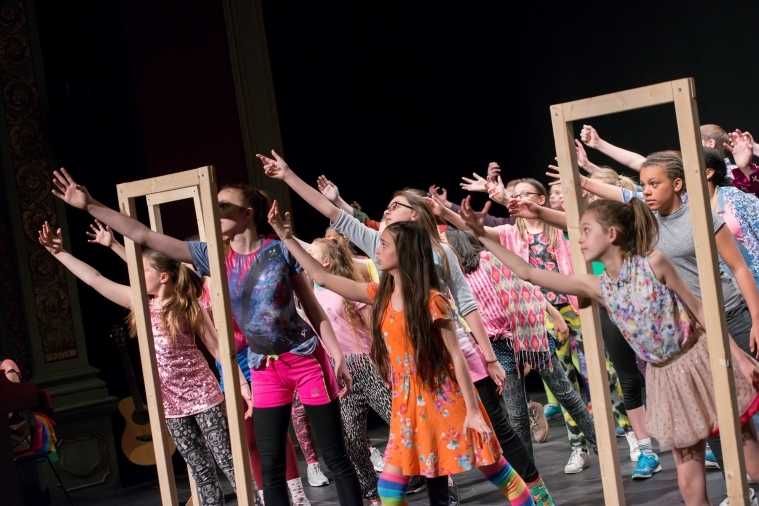 Having witnessed the impact of theatre practice on young people from a diversity of backgrounds, Bristol Old Vic delivers a project that reflects the theatre's resources and wealth of experience to support the educational, social and emotional needs of young people across Bristol. With support from Ernest Cook Trust, Bristol Old Vic’s Young Theatre Makers continues to offer a package of creative experiences for students and teachers. During workshops, groups devise unique pieces of theatre around a given stimulus. This theme encourages exploration using a variety of techniques. These original pieces of work will be performed at Bristol Old Vic in 2019. Some of these children would not speak in front of a small group at the beginning of the year and now they are on the Bristol Old Vic Stage! For some of these children it is a real opportunity to bring them out of themselves and take them to new places emotionally and geographically! It increases their literacy skills and their vocabulary, they learn to speak out, increase their confidence and all of this feeds into their holistic and rounded education that we hope to give them. DAC Beachcroft is proud to be a sponsor of the Company project. Educational outcomes in Bristol affect us in many ways. Good schools with great reputations for producing clever, imaginative students not only mean we have access to a wider talent pool for local recruitment, they also make it easier for us to attract employees who are parents of young children,particularly those moving from London. Supporting the arts is another way we like to help make Bristol the best regional city in which to live and work and we are delighted that this project brings those two objectives together so effectively. We congratulate all the students who have worked so hard and hope they, their parents and teachers will enjoy this marvellous day at Bristol Old Vic. I can't believe where we are now and where we are heading. I just keep hearing what Angie drums into us - 'just say yes and everything else just happens' whenever I don't think I can do something in session and I do, I say, 'yes'!